The 2018-2019 season marks Timothy Hankewich’s 13th year as Music Director of Orchestra Iowa. Hankewich, who is popular with audiences and critics alike, has earned an outstanding reputation as a maestro whose classical artistry is as inspiring as his personality is engaging. Recent guest appearances have included performances with the Jacksonville, Victoria, and Hamilton Symphonies as well as a tour throughout the Czech Republic and Slovakia with the Moravian Philharmonic and the Slovak State Orchestra. In September of 2014, Orchestra Iowa under Maestro Hankewich’s direction released its first ever commercial recording featuring composer Michael Daugherty’s American Gothic. While in Iowa, Maestro Hankewich led his organization through a catastrophic flood in 2008 and raised it to new heights of artistic accomplishment and financial security. He helped restore its damaged performance venue, aided in the reconstruction of its offices, and helped implement a new successful business model allowing the orchestra to grow. Because of these achievements, he has been asked to advise boards of directors of other orchestras on how to achieve meaningful artistic and financial health in the wake of a crisis. Prior to his position with Orchestra Iowa, Mr. Hankewich served as the Resident Conductor of the Kansas City Symphony for seven years. 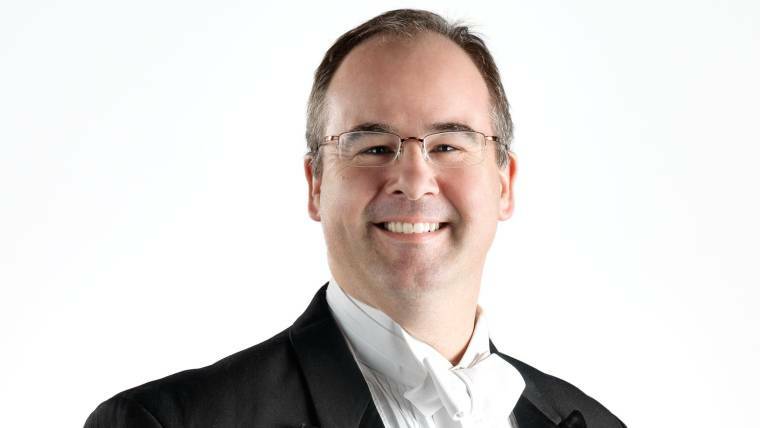 He has held additional staff conducting positions with the Oregon Symphony, Indianapolis Symphony, and the Evansville Philharmonic. Winner of the prestigious Aspen Conducting Award in 1997, Hankewich has enjoyed appearing often as a guest conductor, leading such organizations as Orchestra London, the Kitchener-Waterloo Symphony, as well as the Windsor, Santa Rosa, Indianapolis, Oregon and China Broadcasting Symphony Orchestras. Timothy Hankewich is a native of Dawson Creek, British Columbia and is married to his wife Jill, a pharmacist. He graduated from the University of Alberta, earning his Bachelor of Music degree with honors in piano performance under Professor Alexandra Munn, and a Master’s degree in choral conducting under the direction of Dr. Leonard Ratzlaff. He received his doctorate in instrumental and opera conducting from Indiana University, where his primary teachers were Imre Palló and Thomas Baldner. His studies have also included summers in Vienna and Aspen where he worked under the tutelage of Maestros David Zinman, Bruno Weill, Yuri Temirkanov, Robert Spano, Michael Stern, Murray Sidlin, Julius Rudel, James DePreist, and James Conlon.